Later today Apple’s innovative new advertising play ‘iAd’ will be turned on with companies such as Nissan and Unilever running the first campaigns. 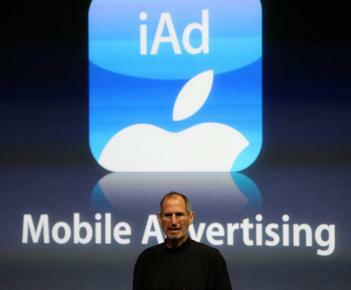 iAd is Apple’s vision on how to best monetize the explosion of low-priced applications that flood its mobile app store. iAd is said to have already booked $60 million in commitments from numerous companies including the luxury brand Chanel. iAd is not to launch in the UK until September. The product has been the source of controversy over whether Apple is using their terms of service agreements to unfairly steer advertisers and developers away from competing advertising platforms such as Google’s AdMob. The FTC has opened an investigation into the matter. Applications seem to be eager to get on board the iAd train, having already built-in support for the program even before its release. Terms for developers using iAd include a 60% payout that developers hope combined with (perhaps) higher CPM rates will raise total revenue from their developed and performing applications. iAd is a turning point in the mobile advertising space, and will surely be a legal and market flash point for months and years to come. This is day one, we will keep you informed. Oh, and if you feel so inclined, you can just opt-out of the whole business if you are a user.